In a recent study by Mckinsey Global Institute, it showed that three major asset classes make up the capital spending, which together accounts for all the structures we live and work in. First is the building or real estate sector, which includes residential and commercial real estate as well as social infrastructures like schools, stadiums, and hospitals, and accounts for 62 percent of all construction. Second is the civil infrastructure — transportation, power, water, and telecoms — which accounts for 25 percent of the sector. The third is industrial construction, including structures for manufacturing, oil & gas, and mining, which accounts for the remaining 13 percent. While many US sectors including agriculture and manufacturing have increased productivity ten to fifteen times since the 1950's, the productivity of construction remains stuck at the same level for over 80 years ago. Current measurements find that there has been a consistent decline in the industry's productivity since the late 1960's. Some of the reasons construction is a laggard industry for growth is the misalignment of project priorities and risk management between the architect, general contractor, and project owner. With competing goals, priorities, and a lack of communication with transparent data sharing, it has stifled the ability to match or exceed productivity increases seen in other industries. If construction labor productivity were to catch up with the progress made by other sectors over the past 20 years or with the total economy, it is estimated that it could increase the construction industry's value added by $1.6 trillion a year. There are multiple ways to manage capital projects, and by boosting productivity with a cohesive project management solution, many organizations are seeing massive results in both time and money savings. By utilizing a single platform for both large and small projects, owners are finding new ways to increase efficiencies and open communication with their teams. 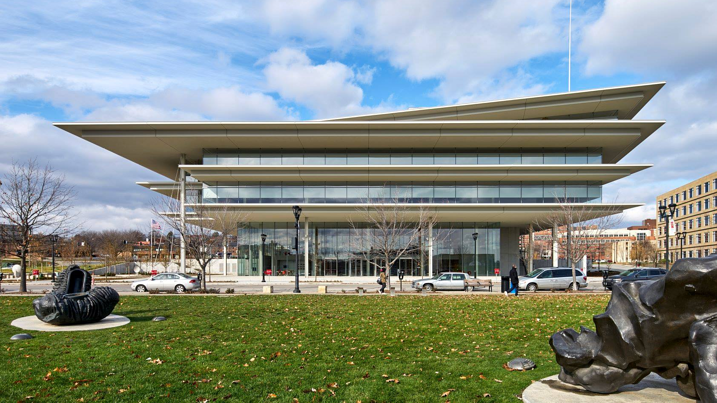 Learn how Projectmates was instrumental in increasing project collaboration and the construction management of a 400+ million-dollar capital project. Or, request a free personalized demo of our software today, and we will give you an inside look at how Projectmates can be utilized to harness your real-time project data. Projectmates industry-leading capital construction program & project management software makes your job easier by improving communication, enhancing project efficiencies, and increasing accountability while saving time & money. Projectmates award-winning software is the standard used for enterprise-level project management. With over two decades of experience, Projectmates continues to be the software of choice and is trusted by users from architects and general contractors to the owners leading the projects. If you missed the recent webinar on Projectmates new version release, don't worry! Here is a recap of all the new features. 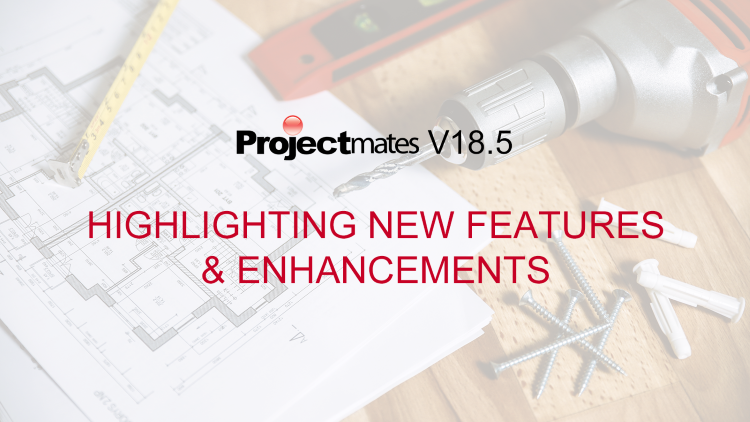 Recent enhancements to Projectmates version 18.5 include: Asset Planning:..